We were supposed to eat at a different restaurant but they were having trouble with some technical stuff and to the luck of the La Fiesta, they were the ones beside that restaurant and we ended up eating there. Price is at P599 on weekday lunches which wasn’t so bad. A bit expensive, but manageable. Upfront, I am not a fan of restaurants serving Filipino food. I like the food that we have at home and I really don’t go looking for it outside. 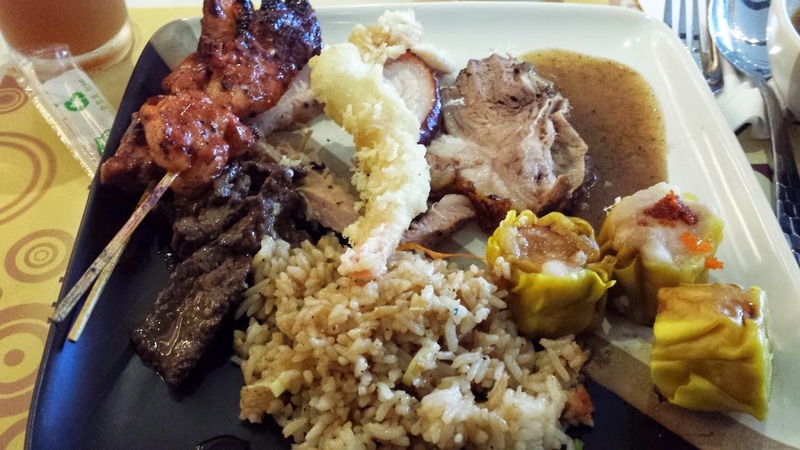 Most of the Filipino restaurants I have enjoyed are mostly high-end ones like those I have eaten at lately. This one is a buffet of sorts. not all kinds of Filipino food, but very representative, I guess. Though i won’t be going back to this restaurants on my own again (read: I like the Filipino food we have at home), I would happily bring balikbayans (locals who have stayed overseas for quite a while) there to sample their favorite dishes. But for me, I’ll stick with the food at home.